Plate IV / VIII*. Mouth of Hybodus basanus, Egerton. Note: The accompanying plate exhibits the appearance of the fossil embedded in the rock, and partially cleared. 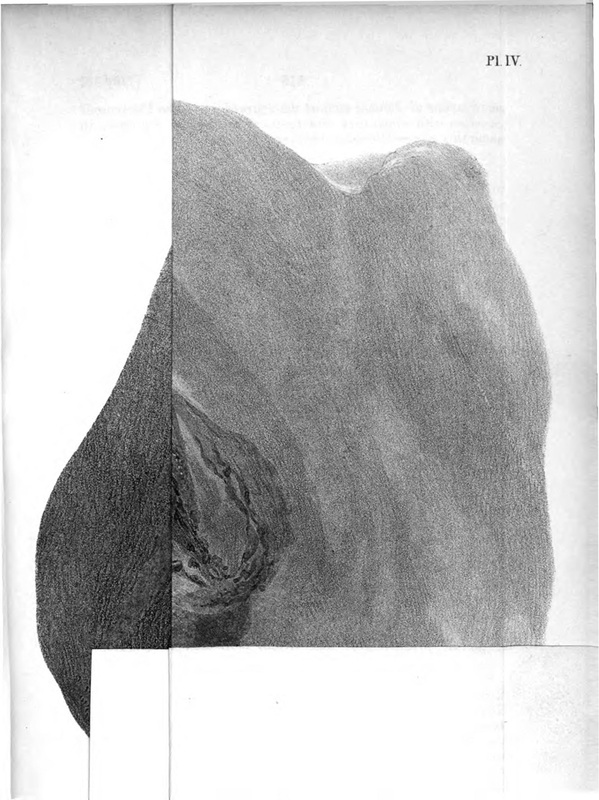 illustrating Description of the Mouth of a Hybodus found by Mr. Boscawen Ibbetson in the Isle of Wight. By Sir Philip Malpas de Grey Egerton. Bart. M.P., F.R.S., F.G.S. Google scan of copy at Lyon Public Library (with erroneous dates in metadata). Perhaps less enigmatic if unfolded, though mutely eloquent thus. Lithographed by G. Scharf (confirmed by look at b&w scan of National Library of Scotland copy, in the Gale/Cengage product 19th Century UK Periodicals, where the words Hullmandel’s Patent Lithotint from Nature by G. Scharf are faintly visible at lower left of unfolded plate; wording confirmed here). * IV here, VIII in index to Plates.